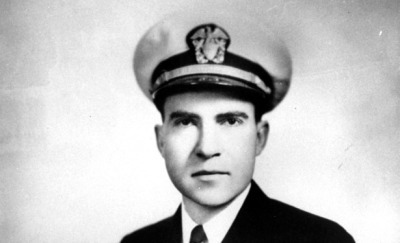 Richard Milhous Nixon was the 37th President of the United States, serving from 1969 to 1974 when he became the only U.S. president to resign the office. 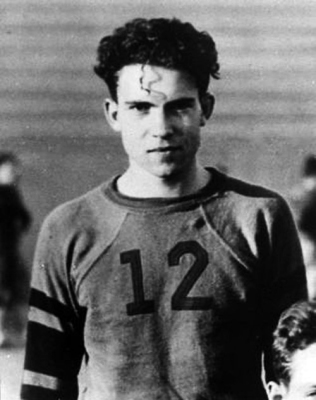 Richard Nixon (1913-94), the 37th U.S. president, is best remembered as the only president ever to resign from office. 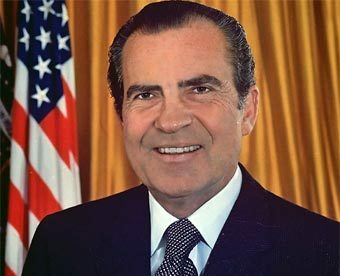 Nixon stepped down in 1974, halfway through his second term, rather than face impeachment over his efforts to cover up illegal activities by members of his administration in the Watergate scandal. A former Republican congressman and U.S. senator from California, he served two terms as vice president under Dwight Eisenhower (1890-1969) in the 1950s. In 1960, Nixon lost his bid for the presidency in a close race with Democrat John F. Kennedy (1917-63). He ran for the White House again in 1968 and won. 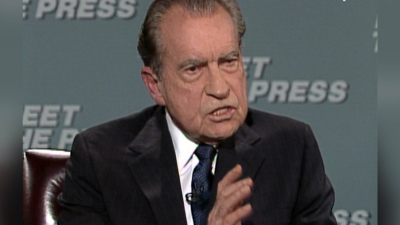 As president, Nixon’s achievements included forging diplomatic ties with China and the Soviet Union, and withdrawing U.S. troops from an unpopular war in Vietnam. 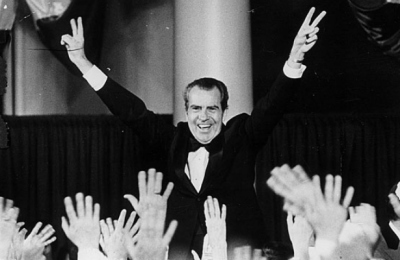 However, Nixon’s involvement in Watergate-tarnished his legacy and deepened American cynicism about government. 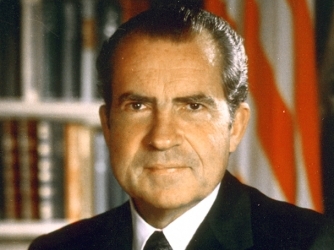 While Nixon was running for re-election in 1972, operatives associated with his campaign broke into the headquarters of the Democratic National Committee at the Watergate Hotel in Washington, D.C. Several members of Nixon’s administration had knowledge of the burglary and while Nixon denied any involvement, secret tapes of White House conversations later revealed that the president had participated in efforts to cover up the criminal activity.